SPORTEL is accepting entries for the their international startup competition entered its third year in Monaco. Only startups with products already in the market and with an active user base, primarily centered in the professional sport industry focused on fan engagement, sport enhancement or sports management, will be accepted. The Sports Techie community blog wrote about last year’s business pitch event via an exclusive SPORTEL blog. If you are the founder of a sports tech company or an entrepreneur working for a qualified startup that matches the criteria, this is an excellent way to break into the crowded digital sports space and solicit investment because of the promotional opportunities and worldwide exposure winning SPORTEL Monaco startup competition presents. Deltatre is sponsoring the event. The ‘SPORTEL StartUp Competition’ in Europe collaboration with deltatre, is an truly international contest promoting the development of new business ideas, innovative thinking and challenging scenarios that create value in the sports industry. From October 24 to 27, the B2B world will converge together at SPORTEL Monaco once again as their emphasis on marketing and media takes center stage at this game-changing sportsbiz convention for the company with the winning pitch. Think of SPORTELMonaco 2016 as an opportunity as a one-stop shop to gain brand awareness to the world and help take your product or solution to the next level with the support of a unique platform designed to allow face to face meetings with the established professionals in the industry, along with access to business verticals, and federations, agencies, broadcasters, and service businesses. The Grimaldi Forum at SPORTEL Monaco hosts the competition where the four selected start-ups will present on October 25. Winners will be chosen from a judging panel made up of top industry experts and announced to the public later in the day. The grand prize are two free visitors’ pass enabling networking opportunities with significant business executives and leaders at SPORTEL Monaco 2016. I asked Carlo, what fan engagement technologies and features are hot right now that judges might be interested in? Carlo will moderate the Startup Competition at the Leaders in Sport event held in London next week. SPORTEL claims to be the most influential business convention for the global sports media industry. Top level executives representing broadcasters, networks, international sports federations, sports and marketing agencies, production companies, content distributors, right owners, satellite providers, technology and new media providers meet twice a year at SPORTEL. SPORTEL features exhibitions, conferences and panels, topics such as content rights and live sports as the driver for pay-tv and their customers and partners, also, interviews, and one-of-a-kind networking events. SPORTEL is organized by Monaco Mediax under the Honorary Presidency of H.S.H. Prince Albert II of Monaco and the patronage of the International Olympic Committee. Last year’s SPORTSTEL Monaco 2015 had 994 entities representing 75 nations consisting of 2,786 participants, from all around the world. The NFL, MLB, NBA, UFC, NASCAR, ESPN, PGA Tour, and La Liga, were just a few of the media broadcasting giants in attendance. Atlanta’s own and former professional boxing champion, Evander Holyfield, was just one of the sport celebrities and legends to participate. To top the event off, the SPORTEL Awards are can’t miss highlights and entertainment. Previous winners GoalShouter and KICKRS.NET count the SPORTEL experience as a main reason for their digital success stories. If you believe in your product and business plan then for sure enter this startup competition because of the chance to use the platform to meet the right people, investors and create special marketing opportunities. 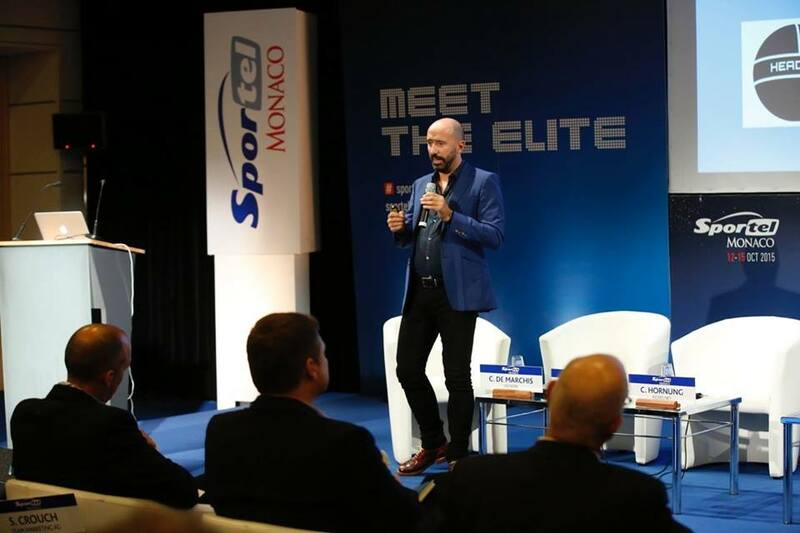 SPORTEL Monaco And Deltatre Digital Sports StartUp Competition – SportsTechie blog. Sports Techie, while I encourage you to enter SPORTEL Monaco always be careful about sharing too much information about your intellectual property and business plan without a non-disclosure agreement in place because you may be asking for trouble. The nice thing about this SPORTEL StartUp Competition presented together with deltatre, is participants are only asked to sharing their website, Twitter handle and Facebook fan page account, as well as provide a few details about the product under development, the problem it solves and how many users there are in addition to competitors, market size and the background of founders. No harm in that, right. Take a look at the shortlist of registered companies at SPORTEL Monaco 2016, it is the highest density of clients in one place. I hope your startup enters and wins this prestigious competition where the winner makes out like a digital business marketing and media champion.